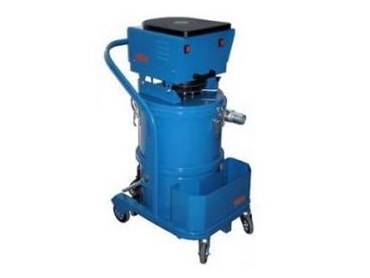 Equipped with two single phase motors capable of individual operation, HDVC S102 dry industrial vacuum cleaners from Kerrick Industrial Equipment are engineered for use in tough conditions. These cleaners feature compact overall dimensions to ensure ease of operation and manoeuvrability, and are fitted with an airflow inversion valve that allows the pneumatic filter shaker to activate. This provides a simple way to keep filters clean and dust free during operation. airflow activated pneumatic filter shaker.